DrinkWire is Liquor.com’s showcase for the best articles, recipes and reviews from the web’s top writers and bloggers. 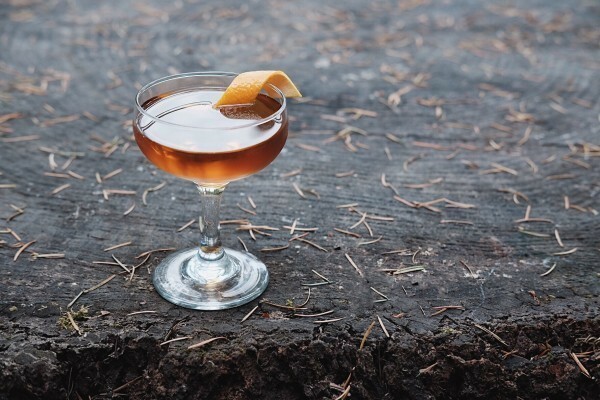 In this post, Jordan Hughes offers an aged rum cocktail. I love summer weather (and summer drinks!) but even I’m starting to get in the Fall-mood. So here’s my first October drink recipe for you to sip by the fireplace. When I was work-shopping this drink I first made it with bourbon but I found that I actually prefer it with a quality aged rum. Combine ingredients in a mixing glass and stir with ice. Strain into a chilled coupe. Flame an orange peel and add to drink.